propolis is a substance produced by the Bees. It is a really complex substance, very difficult to analyse and till now object of many studies. The biologists are certain that the propolis is formulated and used by some special Bee, the collectors and deposited on the external borders of the honeycomb and all over the beehive as it have a defensive effect against the microbiological aggressions. The man uses the propolis as a nutraceutical and phitotherapeutic product, both in alternative (especially in “Bee therapy”) medicine and, as coadjutant, in traditional pharmacology. What is the Bee therapy? The Bee therapy is a form of alternative medicine that founds itself on the use of the products of the beehive, among which: honey, pollen, propolis and some other product. Varying color among: yellow, red, brown clear and dark. Initially vegetable but subsequently enriched and elaborated by insects, propolis is an extremely interesting and univocally considered product of unparalleled value. Specificity: has a broad-spectrum formula but designed to counteract especially pathogens typical of the area surrounding the honeycomb or hive. Subsequently we will return to the concepts of “promiscuity and specificity”; however, in order to fully understand the meaning of these characteristics, it is necessary to have a sufficiently comprehensive overview. Therefore, without too many technicalities, in the next section we will briefly describe the origin and production of propolis. The ingredients of propolis, wisely picked by the Bees, are plant complexes that are found on the bark, in the buds and inside the flowers. The picking of the elements requires a certain mastery and a lot of cooperation from the Bees. Because of the “sticky or slippery” nature of these factors, poor insects are forced to mixing them by themselves with their own enzyme-rich saliva mixed with floral pollen. They thus form tiny tiny spheres that transfer from the jaws, between one leg and the other, up to the “pollen bag” of the hind limbs. The propolis load is then brought up to the hive and discharged near the entrances, where it is stored and finally molded into an effective antiseptic-antimicrobial barrier. Now that we understand the mechanism of formation of propolis, we are finally able to appreciate the characteristics of uniqueness, promiscuity and specificity. Selection made by the Bees themselves to make use of the most effective plant compounds. In practice, by collecting and using propolis, human beings are able to exploit millions of years of natural evolution to their advantage. To be honest, the pathogenic micro-organisms that affect plants, bees and humans are not always the same but we must admit that generic ones, sensitive to propolis, are also the most widespread and frequent. 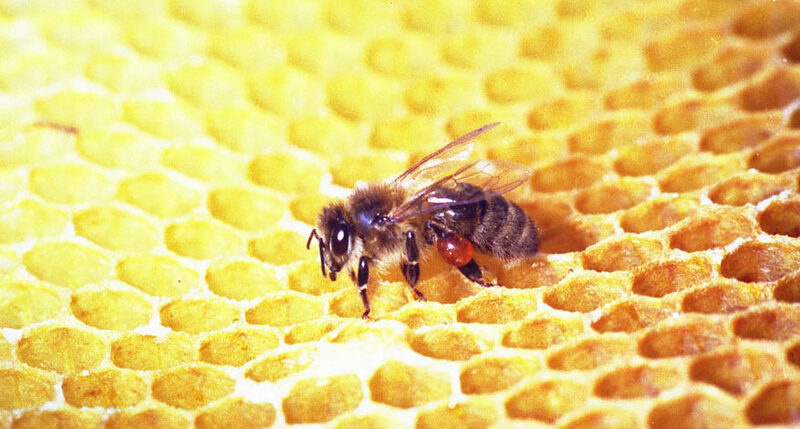 Like honey, propolis is also different depending on the family of Apis and the environment around the honeycomb / hive. Are also observed, Physical and chemical characteristics which are also very relevant but which are not limited to the organoleptic and gustatory aspects. Despite the chemical nature of the active ingredients collected for propolis is quite similar, the quantities and the type of specific molecule change considerably. Propolis is born in relation to the surrounding environment and takes into account factors such as climate, flora, fauna and the prevalence of pathogenic strains. To fully enjoy its therapeutic effects, it would be advisable to use a “short supply chain” propolis, ie produced and harvested in the area of residence.